The following is a guest post from Diane Pierce at Authentic Plaster & Tile. Owning a pool can be a relaxing way to take a break after a long day, or enjoy the majority of your summer vacation. They’re the ideal location for any backyard barbecue where friends and family can gather together, connect with each other, eat good food, and splash around. They can also be a lot of work if not properly maintained in a timely manner. A well maintained pool will provide decades of fun and relaxation. A neglected pool will soon give you problems before you’re expecting to deal with them. Whether your pool is well maintained or left to rot in the past, they are all subject to some wear and tear. Plaster pools are no exception. These pools are incredibly common because they are relatively affordable and can be dyed to match the design aesthetic of the pool surroundings. A well maintained plaster pool will last decades, but they too are certain to start showing signs of wear and tear after a while. Because plaster pools are made from a soft surface material, they are exposed to the effects of constant contact with strong chemicals that can slowly eat away at the material. This results in pits and roughness in the pool surface. This is a natural thing to expect when owning a plaster pool, but if your plaster pool is much older and particularly dinged up, you may want to consider replastering it — just from a level of enjoyment perspective. Swimming in a pool that has a smooth, soft finish is a much more attractive option than scuffing the bottom of your feet on rough plaster that’s full of dings and pits. Being made with a soft surface, plaster pools are also susceptible to staining over time. The cleaner you keep your pool, the longer it will avoid staining. But some staining is inevitable, especially if an improper chemical balance has been maintained in the pool for some time. Stains and discoloration can be cleaned with an acid wash that removes the topmost layer of the plaster. This is an easy fix for freshening up the appearance of your pool. However, if you find you’ve applied many acid washes to your pool over time and it’s not returning to the look of vitality it once displayed, you may want to consider pool replastering. The most appropriate time to replaster your pool, however, is during renovation time. To keep a home up to date and an attractive feature in a picky real estate market, pools need to undergo a facelift from time to time. If you’re resurfacing your pool deck or making other major renovations, consider replastering your pool as well during this time to fully enjoy the new look of your pool. While most people replaster their pools primarily due to aesthetic reasons, your backyard experience will be much more enjoyable spending time in a pool that’s been kept in optimal condition. When the time eventually comes to sell your home, your plaster pool will be a feature of your home you won’t need to worry about. Diane Pierce and her family founded Authentic Plaster and Tile 35 years ago in Texas. Their specialty ranges from simple remodels with pool surface, tile, coping to swimming pool resurfacing in Dallas, Texas. 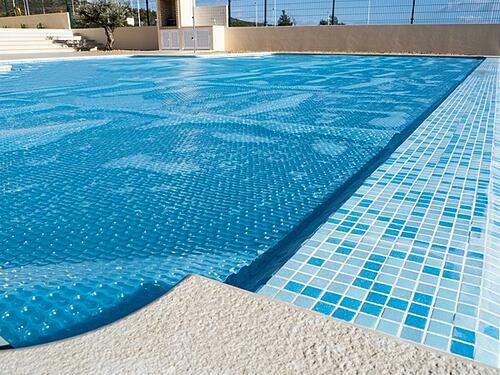 Also their own developed and manufactured pool surface material, Hydra Products, is warranted in-house and gives not only material warranty but also labor.